Sent: Monday, 23 July 2012 2:05 p.m. In 2000 a fictitious entity was given law enforcement authority because no one checked. This was to have been a perfect fraud all facilitated through the lack of diligence . It existed for 10 years and it was only because of My questions that it was struck off, I only questioned because I was being sued for defamation for saying.. How come the animal welfare institute does not exist? No one has ever undertaken an investigation into how the Animal Welfare institute of New Zealand , which did not have any evidence of existence in any manner or form was given coercive law enforcement powers. The negligence of the government departments and the councils involved have been effectively covered up through denial. No one knows who or what the Animal Welfare institute of New Zealand ( AWINZ ) was yet it appointed persons to be Inspectors under the animal welfare act, prosecuted and retained the proceeds of the prosecution under section 171 of the animal welfare act. AWINZ did not exist and this meant that it had huge powers but no accountability to the public at all because it could not be sued. Yet no one cares. The requirements for the application of approved organisations are set out in section 121 and 122 of the animal welfare act. Neither MAF nor the minister’s office carried out due diligence into the legal existence of the applicant and for 10 year this fraud was allowed to exist in the public arena. The following is my supporting evidence as to why MAF and the minister failed to ensure that an applicant existed and was telling the truth in the application, in reality there was no due diligence on the fundamental basic of the application. The hyperlinks will open the documents which are referred to. The application was accepted and considered before the act became law. The application was made 22 November 1999 The act became law on 1 January 2000. Had the persons doing the due diligence been diligent ,the application should have been rejected at this point due to the application being made under legislation which did not yet exist. The applicationwas not made by the applicant, the applicant did not exist. MAF erroneously considered the applicant to be a trust established allegedly on 1.march 2000 which is a date some three months after the application was made, they could therefore not have been the applicants. Since this trust was not registered under any act which gave it body corporate status , the real name of the trust was (Name of trustees ) as trustees in the Animal welfare Institute of New Zealand , the name Animal welfare instate of New Zealand was used by a number of trusts, and would be no different to there being a number of John Smiths, t In this case however the similarity in name was an attempt to confuse and deceive. We know that the Animal Welfare Institute of New Zealand had no legal existence in its own right i.e. it was not a legal person capable of suing or being sued in its own name prior to 27 April 2006 because we registered the legal name and we could not have done so if a body by that name existed. If no one existed by that name then the name used was not of the applicant as the applicant according to the criteria it must be possible to verify the legal status of the applicant. The applicant therefore did not exist or was a “ trading name “ name for an unidentified person or persons. Had the persons doing the due diligence been diligent ,the application should have been rejected at this point as the applicant needs to have real existence or be represented by real persons giving their consent. The application document was not signed. Had the persons doing the due diligence been diligent ,the application should have been rejected at this point due to the document not being legally signed. The application was supported by a blank trust deed. No trust deed existed at that time, the trust deed which was provided with the application was unsigned and therefore not a trust deed. Had the persons doing the due diligence been diligent ,the application should have been rejected at this point due to the fact that the trust deed did not represent anything or any one as it was unsigned. No one ever asked for evidence from Mr Wells as to how he represented the applicant and how he was able to speak on its behalf. I have searched MAF’s files done copious OIA requests and no documents have been located or supplied which shows How Mr Wells was able to represent others or even the trust which was formed three months after the application as made. Had the persons doing the due diligence been diligent ,the application should have been rejected at this point as Mr Wells only had the legal capacity to represent himself. None of the alleged trustees were ever contacted and their signatures were not obtained. I have searched your files done copious OIA requests no documents have been located or supplied. Had the persons doing the due diligence been diligent ,the application should have been rejected at this point as evidence of the existence of the other persons is mandatory and these person both have to have knowledge of the application made in their names and show that they consent to the application being made as ultimately they would have to shoulder the accountability . iii. We now have two copies of the original deed .. so why was the other copy not sent? Had the persons doing the due diligence been diligent ,the application should have been rejected at this point as there was no agreement from Council to this venture. Mr Wells gives assurances with regards to incorporation which transpire to be false. Had the persons doing the due diligence been diligent ,the application should have been rejected at this point or awaited the confirmation to come through , they accepted their word of someone who had assured them in the application 22 November 199 that a deed existed, when quite clearly it did not. Neil Wells got to completes his own caucus papers , he had previously written the no 1 bill for this legislation and advised on it as Independent advisor to the select committee, there is gross conflict of interest yet no one questions. Had the persons doing the due diligence been diligent ,the application should have been rejected at this point due to the gross conflict of interest involved in this matter. Mr Wells single handedly ran a law enforcement authority and no one checks on him or monitors this . No one else is ever seen to be involved prior to March 2006 . A massive cover up commenced in May 2006 and MAF never questioned the fact that the Governance documents were missing when they did the audit. Yet Mr wells had governance documents for the law society. No one cares that on right clicking the law society document the properties show that it was created in 2011. No accountability was called for and one person was left to run his own law enforcement authority unchecked and no one cares? Where was the due diligence in ensuring that the annual reports, checks and audits ere being completed and submitted, as it was the alleged trust did not even meet. In 2006 when I drew attention to the above Mr wells supplied a trust deed to MAF which was other than the alleged signed trust deed. i. Difference is that a has all pages signed. B only has first page signed and last pages signed. ii. The pages in between are not signed at all and have been inserted afterwards. These are not part of the deed as they have not been agreed to by the trustees. iii. The deed is a red herring any way but MAf wouldn’t be able to work that out. No one ever checked to see why the first page and the last three pages were differ and why the central pages in the deed were unsigned, as it was these pages have not been accepted by the trustees and they have just been slipped in between the signature pages to make it look genuine. Does this mean that MAF does not know how to look for the red flags of fraud ? MAF insist that it is a trust which ran AWINZ but No one has questioned how a trust can be formed three months after it allegedly applies for law enforcement authority under a law which did not exist. MAF has been totally incompetent in dealing with tis application it allowed itself to digress into argument about law and they failed to check the basics. I would like to see a full investigation carried out into this matter as I believe there is much to be learnt from this Is this type of negligence still occurring, if so it is an open door to corruption. Sent: Sunday, 22 July 2012 1:09 p.m.
For the past six years I have failed to get accountability or an investigation from council with respect to a perfect fraud where by a council manger was using the council infrastructure, resources , vehicles and staff to derive an income. This form of gross corruption has been seemingly condoned by council and I have been left severely out of pocket due to being a whistle-blower. Not only did the council kick me in the teeth I am now apparently being harassed by council. First of all on Thursday 19 July I received a pay up or else demand from accounts enforcement Limited for $348.78 sent to me on behalf of Water care . I was extremely confused by this as my water care bill arrived the same day and it claimed that my total water care bill was $ 56.89. I spent considerable time sorting this out only to find that someone in their wisdom had written my companies name on the bill in a fraudulent attempt to collect money. It transpires that some 20 accounts all had the names of the person changed on them and mine was one of them , this is not a mistake this is fraud specifically forgery. This has now been sorted in my case but there are many people who would not know how to tackle this issue and would pay up on such a fraudulent demand because it is cheaper to pay than it is to speak to a lawyer. 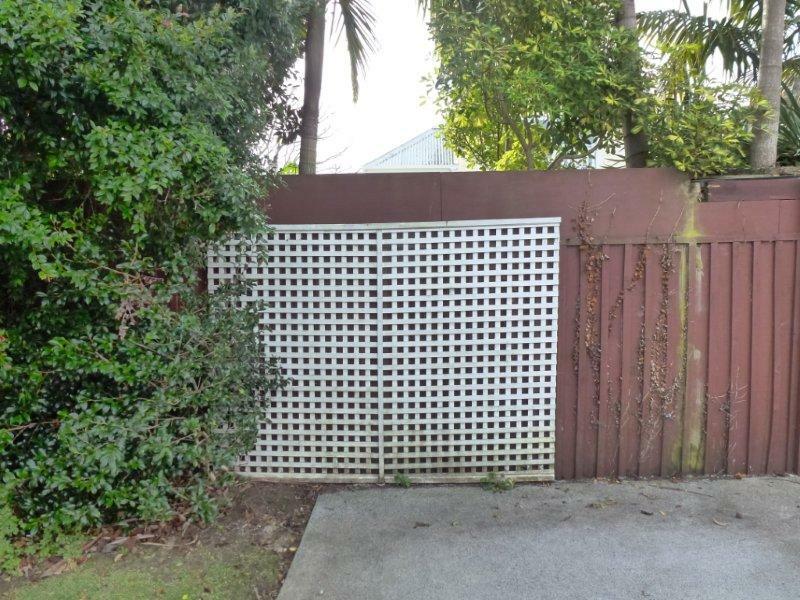 It appears that council has now gone the extra mile and the new owners of the property have removed their car port and taken down the trellis which was at the rear of it and instead nailed it to the back fence. The mere fact that for the past 10 years a kid could have climbed up the trellis and jumped the fence from the top of the car port appears to beside the point, it complied in the past but it does not comply now that my neighbours have chosen to nail the trellis on to the back fence with four nails. I must add that I dispute that child could climb trellis which is stapled together and designed to hold nothing more than a vine. I would not put a child’s safety at risk, besides the four nails which hold it would come out. I am not gifted with x-ray vision and had no idea that my neighbours had the nerve to think that they could do whatever they wished on their property .However I am now aware of it and have made arrangements for it to be taken down. Why I had not seen this report and why you have not seen it fit to communicate with me with regards to it. I would like to assure you the fence is still as robust as ever. The fence has vertical batons. Is 2.25 meters high and complies with the act in every way. I have already received an apology from water care and look forward to the harassment of council to stop. If it wasn’t for the fact that all these events happen to me at once I would be persuaded to believe that it is incompetence such as what existed when council allowes its managers to run their own businesses during paid time. Sent: Friday, 13 July 2012 3:12 p.m.
Subject: Corruption in New Zealand Whistle blower seeks assistance. I have recently applied to join transparency International New Zealand and was turned down. I am a licenced Private Investigator , Former Police prosecuting sergeant and am a whistle-blower who has endured 6 years of attack through the court system for questioning corruption in New Zealand which involved the following. Six years ago I asked questions with regards to one of only two private law enforcement bodies in New Zealand. I found that it did not exist. We had had a big song and dance about John Davies , and later Marianne Thompson and Steven Wilce using false CV’s but somehow having a non-existent law enforcement authority involved in ,what apart from me ,would have been a perfect public fraud is condoned. I found that the person who ran this law enforcement authority which had coercive statutory rights of search and seizure ..
advised on the legislation select committee as “independent” advisor to the select committee. Submitted an application to become a law enforcement authority using a fictitious name and making false claims as to its structure existence and intentions to the minister. Wrote his own caucus papers so as to have the application for the fictitious organisation pass through cabinet. Ran the “ organisation “ which was just him ,from a territorial authorities premises using public assets ,resources and staff to derive a personal income. When I asked questions with regards to the nature and existence of this “ organisation “ he used the court to cover up his corruption by using underhanded legal tactics to win a victory over me, the whistle-blower who was deprived a defence of truth and honest opinion and in proceedings where the was no formal proof and no evidence was produced. Used charitable funds to fund the litigation which only he could profit from. I have not been able to get an investigation into this matter despite having a ton of information. This has come at a huge personal cost to myself and I have just had $91,000 extorted from me to pay for the cost judgement which now with new evidence has been shown to have bane fraudulently obtained. This matter and the way it has been dealt with at every level is proof of just how corrupt new Zealand is. Yet here in New Zealand supposedly the least perceived corrupt country in the world, not only have we not ratified the United Nations Convention against Corruption but transparency International supports corruption by slamming the door of support firmly in the face of whistle blowers. 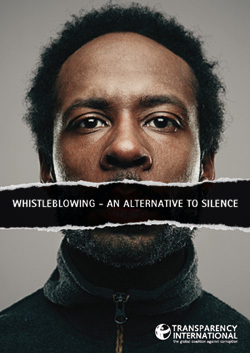 If the document which is listed on the transparency web site at http://www.transparency.org/files/content/activity/2009_PrinciplesForWhistleblowingLegislation_EN.pdf was supported in any way by the New Zealand Branch I would have been welcomed as a member due to the vast experience and information I have with regards to the treatment of Whistle-blowers in New Zealand. But Transparency International New Zealand simply does not wish to know about me or my matter despite the fact that many of its members attend the certified fraud examiners meeting with me. The New Zealand chapter is not doing anything with regards to corruption and Whistle blowers except exclude them . Is there any accountability to make transparency International New Zealand adhere to the values of transparency International? Can I work through someone in transparency International to educate the new Zealand chapter as to what corruption is, new Zealand is rife with it ! I would very much welcome your help and support. New Zealand does not deserve its least corrupt status. If you don’t define it , if you don’t acknowledge it then you have not got it.. that is the only reason NZ is corruption free!